As much as I want to deny it, my boy is growing up! I can see him start to transition from a kid into a tween and while it is fun and exciting to see him mature, it is hard for me to let go. He is my firstborn and he isn’t a little kid anymore. It became obvious when he asked to update his room a little bit. 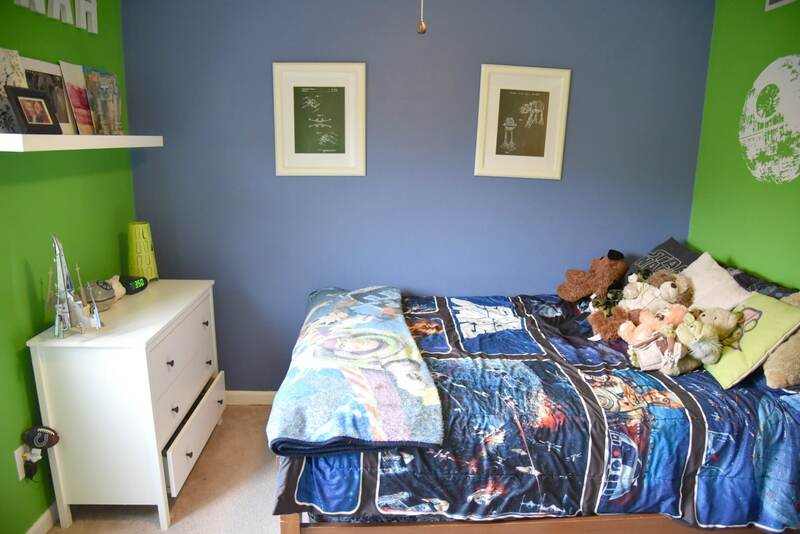 When he mentioned that, I started researching tween boy bedroom ideas that he might like. 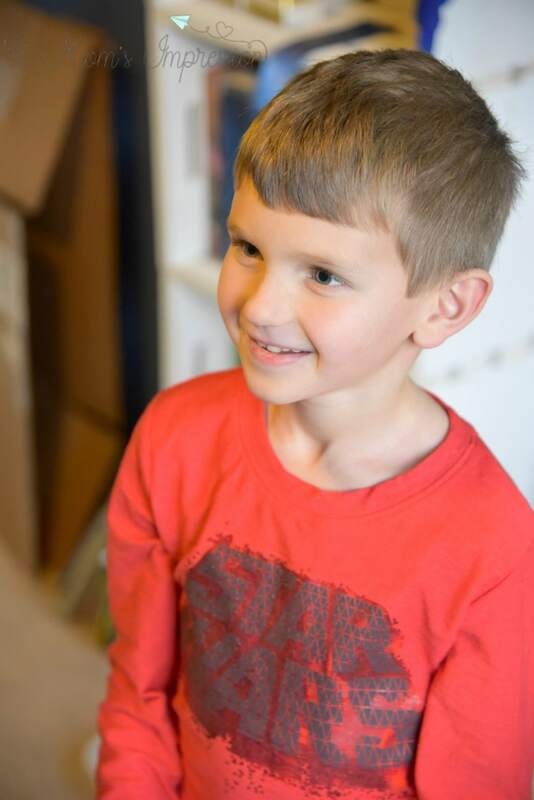 A quick Pinterest search for tween boy bedroom ideas brought up a lot of inspiration for our son, but we really didn’t want a complete remodel, it is after all in the middle of the holiday season. We also know that in a year or two he is going to want to change the colors of the walls and completely redo the entire room. What we needed was a way to make a drastic change in the room to tide him over until the big makeover. Our son’s bedroom before his makeover. This is why we started considering wall decals. Wall decals are perfect for those of us who don’t want to make a huge commitment to redoing a space, yet we want something that is going to make a big difference. 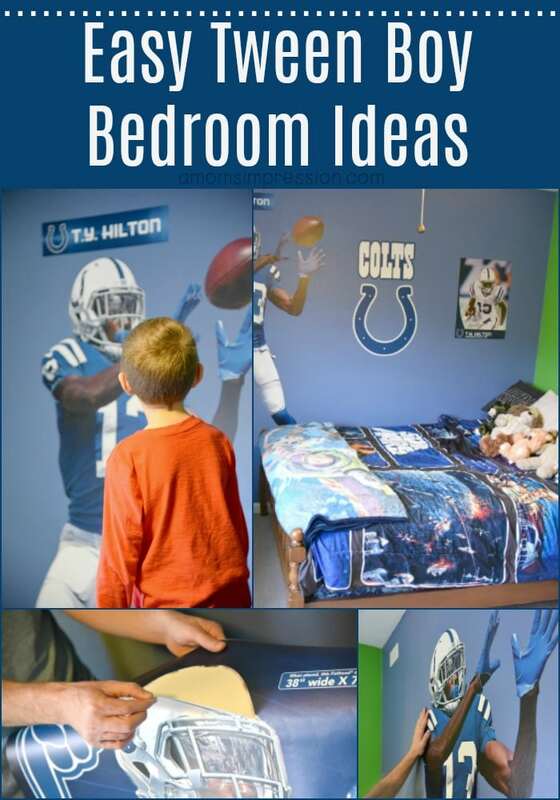 For our son’s room, we knew that a sports theme would be perfect for our Indianapolis Colts loving football fan… enter Fathead wall decals! Fathead wall decals are high-quality, crisp images that transform your space. The majority of Fatheads go up as easy as peel-and-stick, but they do also offer transfer decals that require you to rub onto your wall space for a more intricate design. Whether you’re interested in Sports, Disney, or Entertainment, decorate your space with over 100 licenses to select from. We found a huge selection of sports-themed decals that were the perfect match for his room. 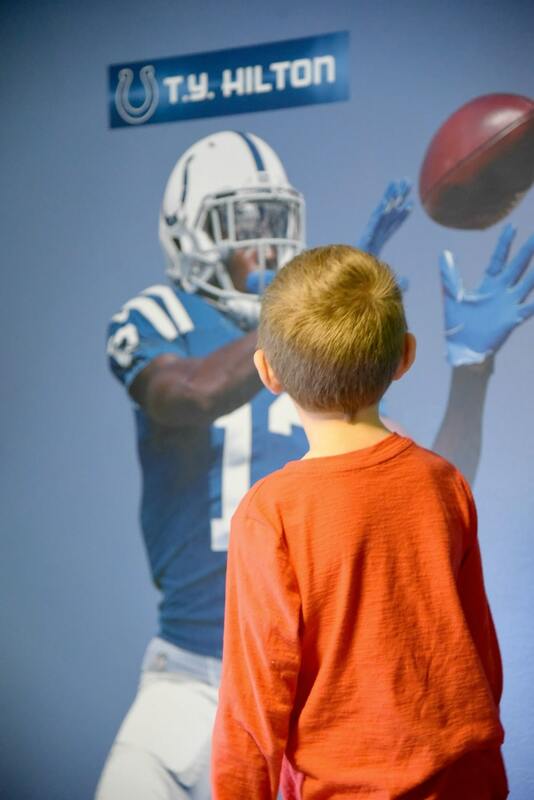 Our son chose his current favorite Indianapolis player, T.Y. 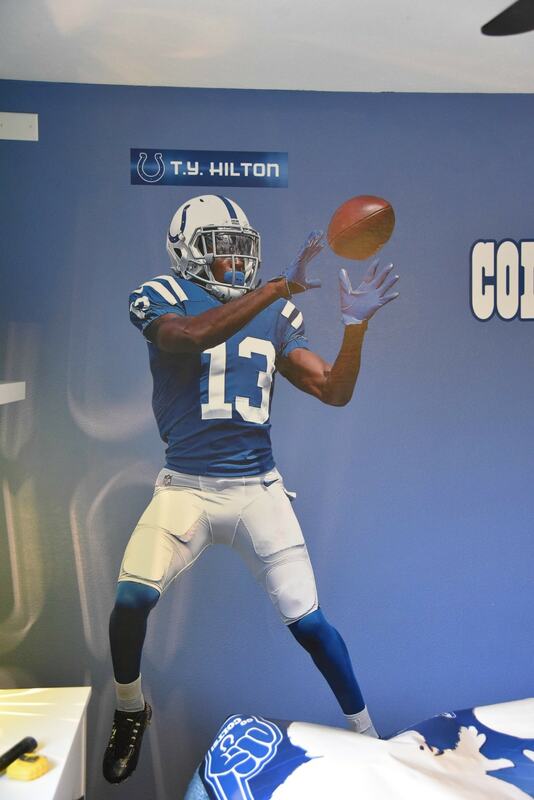 Hilton. The package we received not only came with a life-size decal but also 9 other decals that made his space transform into a tween paradise. Our son’s bedroom transformation after the decals went up! 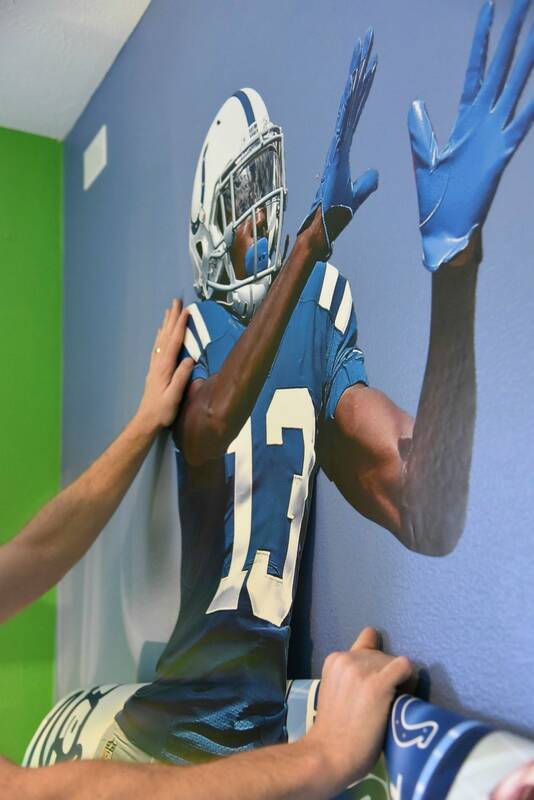 Fathead wall decals are pretty easy to install once you get the hang of it. The only thing that was difficult to install was the lifesize T.Y. Hilton and that was only because of the size of the decal, once we got it going, it was pretty easy. 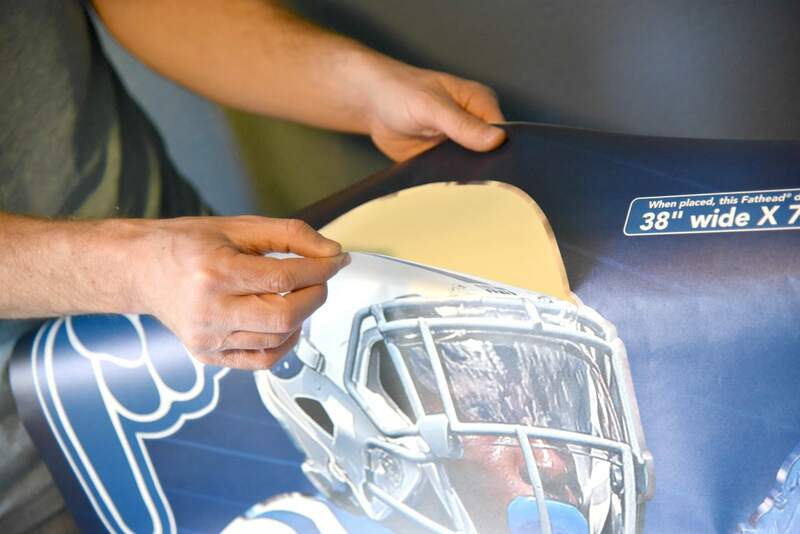 Another great thing about Fathead decals are that they are peel and stick, there isn’t a need for tacks, nails, or tape. They are perfect for those who aren’t allowed to put nails in a wall, but you want a big transformation to your space. To install we started peeling the top of the helmet and stuck that on the wall where we wanted it. We then peeled and pressed the decal into place from top to bottom. The great thing about these decals is that they can be repositioned so if you mess up you can start over. It is so easy to decorate your space in minutes! We made my son wait outside until we had the room finished. His reaction when he came back in was priceless! He loves it, we love it, and it was done in about 15 minutes! My son keeps saying how much he loves his room now. We were all pretty impressed with the detail and quality of our Fathead decal. I couldn’t believe what a giant impact it had on his room. As much as I am resisting this kid growing up, his new tween approved bedroom is pretty cool! The Fathead team has curated the perfect gift guide for everyone on your holiday list. You’ll find something for the sports-obsessed, the movie lovers, and one-of-a-kind Custom Creations for those who hold a special place in your heart. Fathead’s adhesive wall graphics will make your walls merry and bright all year long. Gift happiness this season, yule won’t be sorry! Right now the good people at Fathead are having a 20% sitewide sale from 11/29 – 12/21: You can save 20% sitewide and receive free shipping on orders of $98.99 or more. No promo code required.